2016 Southern Foodways Symposium Recap from Southern Foodways on Vimeo. 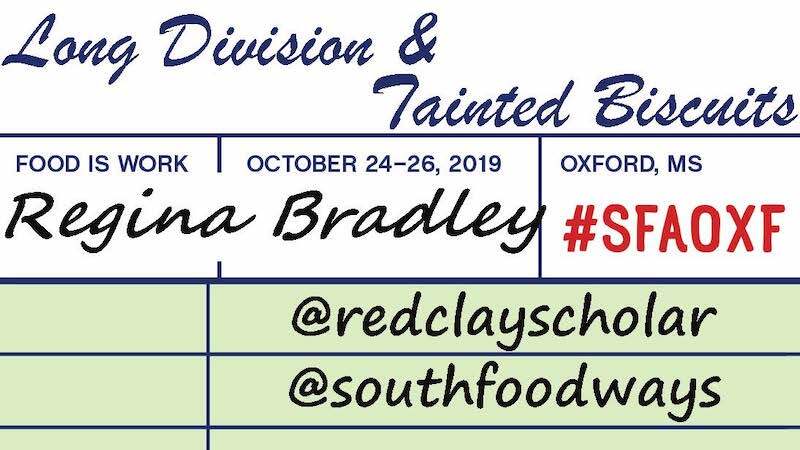 The Southern Foodways Alliance stages its fall Symposium October 13–16, 2016, on the campus of the University of Mississippi and in and around the town of Oxford. Onsite registration for ticket holders begins on Thursday afternoon at 2:00. Southern Studies Fantasy Camp, back for a second year, commences on campus at 3:00. Sunday morning at 11:00, the Symposium closes when we send you home with a traveler’s meal of Cold Cornflour-crusted Fried Chicken and jars of guest chef-pickled delights. Don’t miss a minute. The 19th Symposium explores corn, our nation’s mother grain (and, we might add, a signal image on the SFA logo.) Progressing in concept from cob to kernel and in time from prehistory to the Newer South, this four-day event examines the ways in which corn has served the region as symbol, sustenance, and problem. Speakers include David Shields, professor of letters, author of Southern Provisions, and heirloom comeback king; Michael Twitty, researcher of African American foodways and author of the forthcoming book, The Cooking Gene; Tracie McMillan, author of The American Way of Eating; and Regina Bradley of Armstrong State University, an alumna Nasir Jones HipHop Fellow at Harvard University. Meals, cooked and served to fuel our discussions, begin with a communal Brunswick Stew wherein we gather to celebrate common bonds, indivisible by political and social rancor. Along the way, we enjoy Cast-iron Toasted Cornbread Madeleines from a Cajun-born New York City chef and Cornbread Crumbled Squash Casserole from a Savannah native of African descent who once directed Paula Deen’s kitchen. Alex Raij, the Basque cuisine champion, serves Delacata Empanadas. Steven Satterfield, the champion of root to leaf cooking, conjures a silk-to-kernel luncheon that celebrates all things maize. And Sean Sherman, the nation’s foremost chef-interpreter of Native American foodways, reintroduces Flint Corn Cakes and Sun-dried Rabbit to the Southern larder. SFA oral historians and filmmakers have worked all year to create content for this weekend. We screen five documentary films, four of those produced and directed by the SFA. One film comes courtesy of John Egerton Prize winner Jon-Sesrie Goff, a native of the Lowcountry who returned home after the terrorist attack on Mother Emanuel Church to document the Sea Island promise of 40 Acres and a Mule. Speaking of documentary efforts, after we screen a new film on Craig Claiborne Lifetime Achievement Award winner Ira Wallace, please join us to toast to her great work, which we first recognized in an oral history project directed by Sara Wood. New and exciting, and we think groundbreaking, is a robust and vigorous SFA commitment to arts programming, driven by multi-year grants from 21c Museum Hotels and the Cockayne Fund. We open the Symposium with a viewing of “Secret Ingredient,” a new sculpture and a contextualizing installation by Shae Hembrey, the Arkansas-born artist who rose to international fame when he created “Seek: 100 in 2011,” a conceptual biennale of 100 artworks. And we close the weekend with “In These Fields: A Folk Opera” by acclaimed Kentucky novelist Silas House and Sam Gleaves, a bluegrass musician who writes of, among other things, finding a place for LBGT peoples in the Appalachian narrative. One quick note on the ticket price: SFA programs all events on a break-even basis. We set prices based on our costs, without markups. (We raise operational funds in other ways, oftentimes engaging donors who first join us as Symposium attendees.) Because we pay all speakers and chefs honoraria, and cover travel and lodging, too, our costs are significant. SFA treats our collaborators well and prices events equitably: From the first Symposium in 1998 to today, that has been our mantra. More recently, recognizing that not all can afford to gather at the SFA table, we initiated the Smith Symposium Fellows program, which invites individuals whose work promises a positive impact on the region to be our guests at the fall symposium. And a preview of future SFA programming: In 2017 we will focus on El Sur Latino. Come 2018 we will engage literature. In 2019 our programming will showcase labor. Stay tuned for oral histories, films, and events that explore these themes. Host for the Symposium is the Southern Foodways Alliance, an institute of the Center for the Study of Southern Culture at the University of Mississippi. Generous corporations, foundations, and individuals fund our work. Featuring colleagues from the Center for the Study of Southern Culture and the University of Mississippi, in conversation about Latin American foodways, the Mexican South, cornbread etymologies, and more. All events at the Lyric Theater, unless otherwise noted. All events at the Nutt Auditorium, unless otherwise noted. To conceive this meal, always the most anticipated of the weekend, Steven Satterfield of Miller Union in Atlanta began keeping a notebook of corn-inspired ideas in January. Expect fireworks. Registration is open to all 2016 members of the SFA. Members may purchase multiple tickets to the Symposium, but buyers must confirm that their guests are also current SFA members. At the time of ticket purchase, please have your guest’s name and contact information available, as this information will be required for purchase. Registration opens Wednesday, August 10, at Noon CT. All current SFA members will receive an email on Monday, August 8, with the link and password necessary for purchasing tickets. If you have already confirmed your membership but do not receive this message by close of business on August 8, please email info@southernfoodways.org or call 662-915-3368. Tickets, priced at $780, are refundable, minus a $150 cancellation fee, if the SFA is contacted by September 1. (Each time we sell and refund tickets SFA incurs hard dollar transaction fees.) No refunds after September 1. To be fair to those on the waiting list, tickets may not be transferred. Please don’t ask us to make exceptions. We try our best to manage demand in an equitable way. When you purchase your symposium ticket, the questionnaire page will share a password that you may use to call and book your room. Passwords are required to reserve a room in the symposium block. Reserve a room as soon as your ticket purchase is confirmed; availability is first come, first served, and the special rates expire September 13. Jeremiah Bacon set out to roam the country armed with a degree in philosophy. The water drew him back home to the Lowcountry where he is chef at The Macintosh in Charleston, South Carolina. Vishwesh Bhatt opened Snackbar in Oxford, Mississippi, in 2009, where he interprets his native Indian cuisine through Southern staples like collard greens. Emily Blount was born and raised in Northern California and spent over a decade in New York City before putting down roots in Oxford, Mississippi, where she opened Saint Leo earlier this year. A native of Alexandria, Virginia, Matt Bondurant has written three novels. The Wettest County in the World, based on his family moonshining stories, was adapted into the film Lawless in 2012. Jean-Paul Bourgeois hails from Thibodaux, Louisiana, where his family caught catfish, duck hunted, cleaned shrimp, and made fig preserves. Now he serves as the executive chef of Blue Smoke in New York City. Regina Bradley teaches African American literature at Armstrong State University in Savannah, Georgia, where she researches post-Civil Rights African American literature, hip hop culture, and race. Allison Burkette teaches linguistics at the University of Mississippi. Her book Language and Material Culture examines language variation and its connection to cultural factors. Under Andy Chabot’s direction, The Barn at Blackberry Farm won the 2014 James Beard Award for Outstanding Wine Program. Dora Charles’s cooking career began at age six when she made a cup of Maxwell House coffee for her grandmother. She is the author of A Real Southern Cook: In Her Savannah Kitchen. Jennifer V. Cole is a writer based in Birmingham, Alabama. She speaks five languages, loves a good backyard pool party, and once got to spend the day with Dolly Parton. Cassidee Dabney is the executive chef at The Barn at Blackberry Farm. She knows how to hoe a row, butcher a hog, and put up a peach. 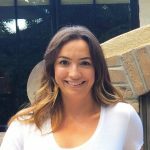 Simone Delerme teaches Southern Studies and Anthropology at the University of Mississippi and researches Hispanic migration to the American South. Bart Elmore teaches history at The Ohio State University and is author of Citizen Coke: The Making of Coca-Cola Capitalism. SFA board member Elizabeth Engelhardt teaches at the University of North Carolina-Chapel Hill and leads the SFA academic committee. She wrote A Mess of Greens: Southern Gender and Southern Food. Kelly English directs restaurants in Memphis, Biloxi, and his adopted hometown, Oxford. Equal treatment for all citizens and Ole Miss athletics are his twin passions. Mark Essig’s most recent book, Lesser Beasts: A Snout-to-Tail History of the Humble Pig, explores civilization’s love-hate relationship with pigs and pork. Kevin Gillespie is the author of Pure Pork Awesomeness and the chef at Gunshow, an Atlanta restaurant with a dim sum-inspired approach to service. Born and raised in southwest Virginia, Sam Gleaves performs music with a sense of history. He writes new songs in the Appalachian tradition, telling stories about love, the home place, working people, and social issues. Documentary photographer and filmmaker Jon-Sesrie Goff is the 2016 Egerton Prize Winner. His MFA thesis film, After Sherman, earned him a grant from the Princess Grace Foundation. Artist Jonathan Green is a partner in the Lowcountry Rice Culture Project, an educational foundation based in South Carolina. His grandfather was a moonshiner. Shea Hembrey grew up on a dirt road in rural Hickory Grove, Arkansas, in a family of farmers, factory workers, hunters, trappers, and cockfighters. Watch his Ted Talk. Really, do it. Debbie and Lynn Hewlett own Taylor Grocery in Taylor, Mississippi. You may drink intoxicating beverages on the porch if you sip from a plastic cup. Eastern Kentucky native Silas House is the author of five novels, three plays, and a creative nonfiction book about social protest. His next novel, Little Fire, is out in 2017. Native to Kentucky, Rebecca Gayle Howell is a senior editor for Oxford American. Her recent book Render / An Apocalypse was a 2014 finalist for ForeWord Review’s Book of the Year. Florida native Edouardo Jordan is the chef and co-owner of Salare in Seattle. He was named a 2016 Best New Chef by Food and Wine. Raleigh-based chef Cheetie Kumar has been named “the coolest person” in her hometown. She co-owns and operates Kings, Neptune’s Parlour, and Garland. Rachel Laudan is a food historian. Her 2013 book, Cuisine and Empire: Cooking in World History, traces the culinary philosophies that spawned the handful of cuisines that now dominate the globe. Rob Long, incoming SFA board President, is a television writer and producer and a good eater. He hosts a weekly show, “Martini Shot,” on public radio in Los Angeles. One time, he took a slow boat to China. Ava Lowrey joined the SFA staff as our Pihakis Foodways Documentary Fellow in 2015. You’ll see her talent on the screen this weekend and at film festivals around the country this year. Miles Macquarrie is a partner and bartender at Kimball House in Decatur, Georgia. Though the restaurant is known for its cocktail program, Miles’s first love was beer. Nancie McDermott is a food writer and a prolific cookbook author with a passion for social justice, culinary history, and pie. Tracie McMillan writes about food and class. The American Way of Eating: Undercover at Walmart, Applebee’s, Farm Fields and the Dinner Table was a New York Times best-seller. Director of the Center for the Study of Southern Culture at the University of Mississippi, Ted Ownby writes and teaches classes on the social and cultural history of the American South. Catarina Passidomo, SFA’s Foodways Professor at the University of Mississippi, explores the connections between food and culture, identity, space and power. Peru is her next frontier. 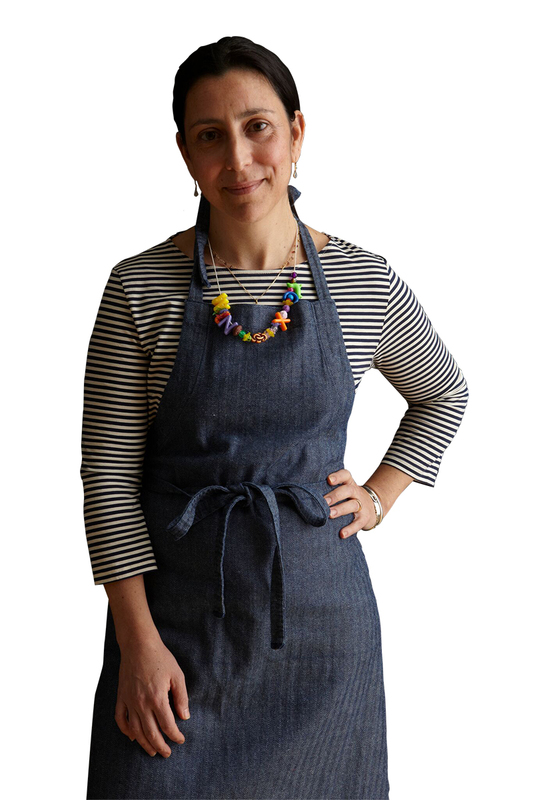 Alex Raij is the chef and co-owner of Txikito, La Vara, and El Quinto Pino in New York City. Her recent cookbook, The Basque Book, focuses beautifully on Txikito recipes. At Restaurant Iris in Memphis, Camron Razavi adds a global sensibility to local ingredients and Gulf Coast seafood. Sommelier, writer, and Georgia native Stephen Satterfield develops digital food platforms, researches foods of the Americas, and serves patrons at Chez Panisse in Berkeley, California. Guitar player, singer, and chef Steven Satterfield is the co-owner of Miller Union in Atlanta, Georgia. He published Root to Leaf: A Southern Chef Cooks Through the Seasons in 2015. Known as the Sioux Chef, Sean Sherman of Minneapolis focuses on revitalizing indigenous foods systems in a modern culinary context. David Shields teaches in the University of South Carolina English department. His 2015 book, Southern Provisions: The Creation and Revival of a Cuisine, reclaims the lost legacies of Southern food. Since 1996, Helen Turner has run Helen’s Bar-B-Q in Brownsville, Tennessee. One of only a few female pitmasters nationwide, Turner is the subject of a must-watch Joe York film. Michael Twitty, a Smith Symposium Fellow, is a teacher, culinary historian, and historical interpreter. His book The Cooking Gene hits shelves in December. SFA Lifetime Achievement Award Winner Ira Wallace is a seed-saver, an educator, and the essential intellectual and physical energy behind Southern Exposure Seed Exchange. Sara Wood is SFA’s lead oral historian. After meddling in modern dance, public radio, and museum work, Wood found her true gift—getting great stories out of everyone she meets. Joe York is a documentary filmmaker with a degree in archeology and a deep appreciation for cornbread. Joe has made over 30 short films for the SFA, as well as the feature documentary Pride & Joy. Poet Kevin Young is the author of Blue Laws, Selected and Uncollected Poems 1995-2015 and of Repast, An Oratorio in Honor of Mister Booker Wright of Greenwood, Mississippi. Access to academic articles may require a subscription. Bondurant, Matt. The Wettest County in the World. New York: Scribner, 2009. Bradley, Regina. “Before Beyoncé Made Formation, Zora Neale Hurston Laid Out Her Roadmap.” Washington Post. February 10, 2016. Brock, James. “Wine Talk: This Top Resort’s Wine Guru Pours in Splendor—And Creates Wedding Moments.” Papercity. September 29, 2015. Burkette, Allison. “Cornpone: A Borrowed Term for a Borrowed Staple.” Gravy. Issue #58. 2015. Charles, Dora. A Real Southern Cook: In Her Savannah Kitchen. Boston: Houghton Mifflin Harcourt, 2015. Cholst, Rachel. “Sam Gleaves Burns Down the Closet Door on New Release.” No Depression. November 15, 2015. Cole, Jennifer V. “Ghost in the Freezer.” Gravy. Issue #59. 2016. Currin, Tina Haver. “Bandleader, head chef and restaurateur Cheetie Kumar rarely sees sunlight, but at least she sees results.” Indy Week. March 25, 2015. Dabney, Cassidee. “Cassidee Dabney’s Grits.” Lucky Peach. Delerme, Simone. “‘Puerto Ricans Live Free’: Race, Language, and Orlando’s Contested Soundscape.” Southern Spaces. March 24, 2014. DeJesus, Erin. “Why Chef Kelly English Is Expanding from Memphis to Oxford, Mississippi.” Eater. December 3, 2014. Dragonwagon, Crescent. The Cornbread Gospels. New York: Workman Publishing Company, 2007. Elmore, Bartow J. Citizen Coke: The Making of Coca-Cola Capitalism. New York: Norton, 2014. Engelhardt, Elizabeth. A Mess of Greens: Southern Gender and Southern Food. Athens: University of Georgia Press, 2011. Essig, Mark. Lesser Beasts: A Snout-to-Tail History of the Humble Pig. New York: Basic Books, 2016. “F&W Star Chef: Vishwesh Bhatt.” Food & Wine 2013. Fussell, Betty. The Story of Corn. Albuquerque: University of New Mexico Press, 2004. Gillespie, Kevin. Pure Pork Awesomeness: Totally Cookable Recipes from Around the World. Kansas City: Andrews McMeel, 2015. Graslie, Serri. “The ‘Sioux Chef’ Is Putting Pre-Colonization Food Back on the Menu.” NPR. October 7, 2104. Harvey, Jessica. “Jean-Paul Bourgeois: Up In Smoke?” Nicholls State University Alumni Federation. Blog post. February 12, 2014. Hooper, Hayden. “Helen Turner: Queen of Barbeque.” Social South. 2013. House, Silas and Neela Vaswani. Same Sun Here. Somerville: Candlewick, 2012. Howell, Rebecca Gayle. Render / An Apocalypse. Cleveland: CSU, 2013. Jackson, Stephen. 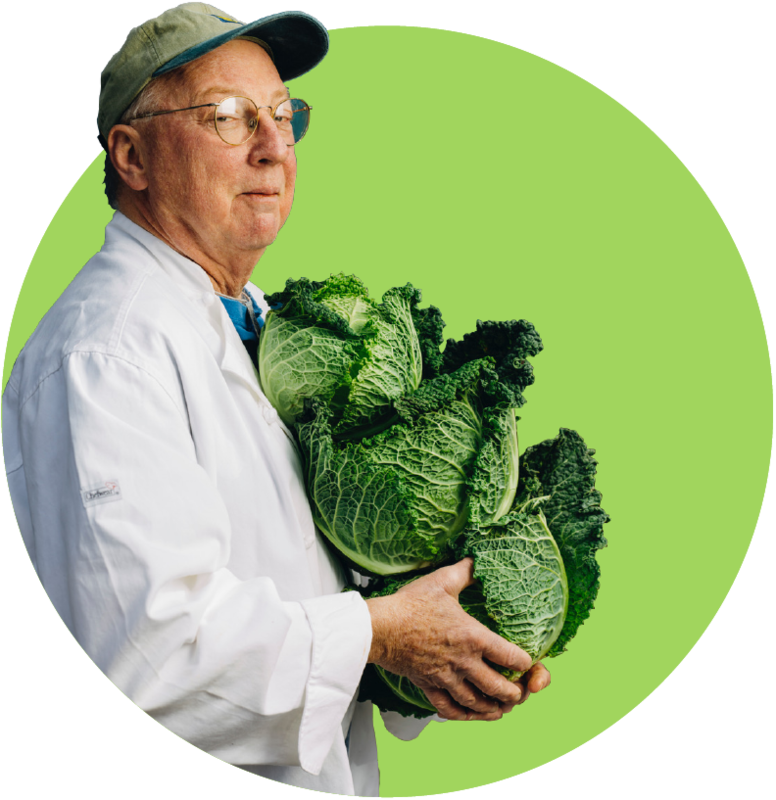 “Meet Stephen Satterfield, Food Culture Expert and Nopalize Cofounder.” Hoodline. January 25, 2015. Khong, Rachel. “On Being Black in the Kitchen: Edouardo Jordan on the Lack of Black Chefs in Fine Dining.” Lucky Peach. Issue #18. 2016. Laudan, Rachel. Cuisine and Empire: Cooking in World History. Oakland: Univ. of California, 2013. Long, Rob. Conversations with My Agent. New York: Bloomsbury Publishing, 2014. McDermott, Nancie. Southern Soups and Stews: More than 75 Recipes from Gumbo and Burgoo to Etouffee and Fricassee. San Francisco: Chronicle, 2015. McMillan, Tracie. The American Way of Eating: Undercover at Walmart, Applebee’s, Farm Fields and the Dinner Table. New York: Scribner, 2012. Ownby, Ted, ed. The Civil Rights Movement in Mississippi (Chancellor Porter L. Fortune Symposium of Southern History) Jackson: University Press of Mississippi, 2013. Passidomo, Catarina. “Right to (feed) the city: race, food sovereignty, and food justice activism in post-Hurricane Katrina New Orleans.” Dissertation (Ph.D.), University of Georgia, 2013. Raij, Alex and Eder Montero. The Basque Book: A Love Letter in Recipes from the Kitchen of Txikito. Berkeley: Ten Speed, 2016. Reece, Chuck. “Bitter Southerner No. 5: For Precision and Refreshment.” (profile of Miles MacQuarrie). Bitter Southerner. Satterfield, Steven. Root to Leaf: A Southern Chef Cooks Through the Seasons. New York: Harper Wave, 2015. Shields, David. Southern Provisions: The Creation and Revival of a Cuisine. Chicago: University of Chicago, 2015. Terenzio, Olivia. “Chef Jeremiah Bacon on Why Charleston Restaurants Are at the Top of Their Game.” Charleston City Paper. March 3, 2016. Ustundag, Ezgi. “After Charleston, a Change of Focus for MFA Student.” Duke Today. September 28, 2015. Wallace, Ira. The Timber Press Guide to Gardening in the Southeast. Portland: Timber Press, 2013. 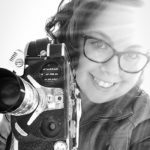 Ava Lowrey is SFA’s Pihakis Documentary Film Fellow. Sara Wood is SFA’s oral historian. Header photo by Kate Medley. Illustration by Katy Clune. (Based on a stone carving. Aztec Civilization, 14th-16th Century. Mexico City, Museo Nacional De Antropología).